For vertical and horizontal use. A karabiner for connecting to a suitable anchor point. 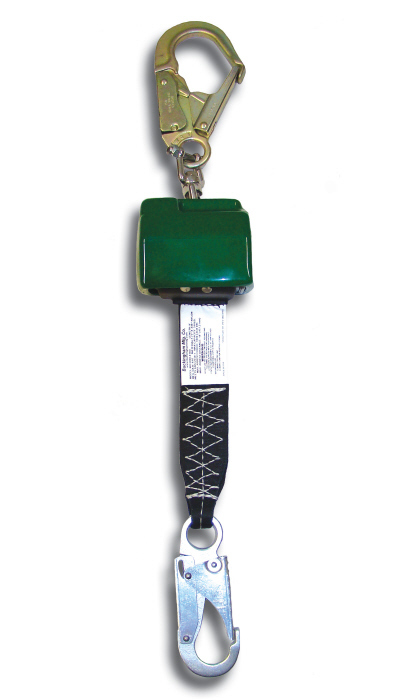 Safety hook with auto locking trigger and swivel for connecting direct to the safety harness. Consists of a compact shock absorber , Top Swivel for flexible movement , Webbing retractor with brake inside a tough plastic case and 17mm wide heavy duty webbing. Do you require a harness? just click the button below.